Te Papa’s curator of terrestrial vertebrates Dr Colin Miskelly tells the fourth part of the unfolding story of the emperor penguin that went where none had gone before (at least in the age of digital media). Colin accompanied Department of Conservation staff to Peka Peka Beach on the morning of 21 June, and identified the bird just before the first journalists and media photographers arrived. He is also a member of the committee advising on the care and rehabilitation of the bird, and told the first three parts of its story in Te Papa blogs posted on 23 June, 29 June and 6 July. The Peka Peka emperor penguin has been under veterinary care at Wellington Zoo for over two weeks now, and most of the sand is out of his system. He is eating about 2 kg of donated salmon a day, and will be converting some of this into a layer of fat lying just under his skin. 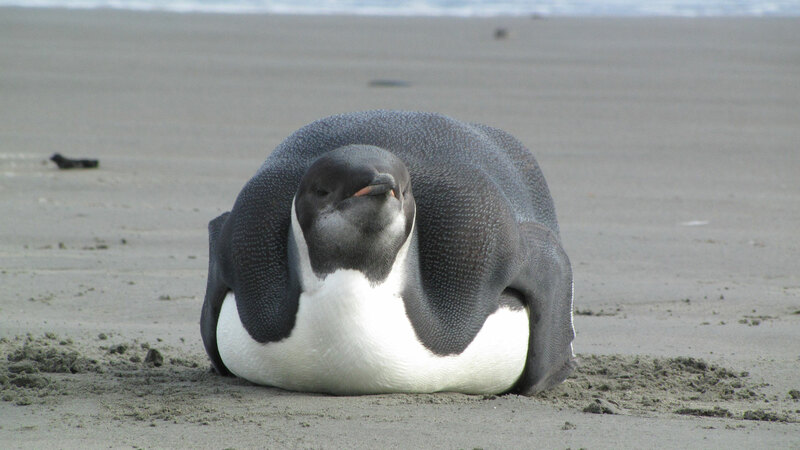 This is where penguins store fat to tide them over their long periods of fasting while ashore, for example while incubating, or during their annual moult. Maintaining a thick fat layer while at sea is also important. Not only does it provide insulation against cold water, it improves hydrodynamic streamlining, and is an insurance against poor foraging conditions. The emperor penguin was in surprisingly good condition when he stepped ashore. Many vagrant birds that stray beyond their typical range and habitats find it difficult to find food, and become emaciated. When he arrived, the Peka Peka penguin was towards the lower end of a healthy adult weight, but he apparently lost further weight and condition before he was delivered to Wellington Zoo 4 days later. It is intended to build his weight up by several kilos before release, to improve his chances of surviving any patches of low food availability on his (hoped for) swim south. 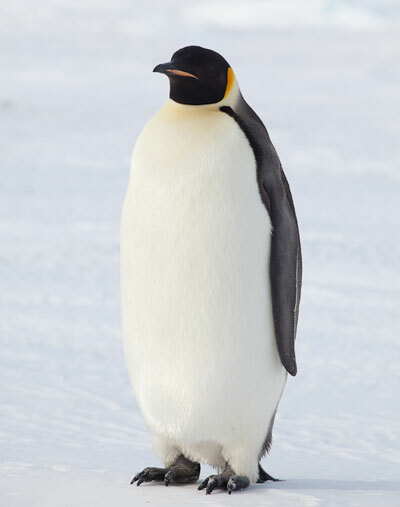 As mentioned in a previous blog, adult male emperor penguins go without food for up to four months at the start of the breeding season, dropping from an average of 38 kg to 23 kg in the progress. Young emperor penguins (like the Peka Peka bird) do not get anywhere near so big, as they do not need to endure such long fasts while at sea. Most subadults weigh between 25 and 30 kg. There will be great interest in tracking the penguin’s location and direction of movement after release, and we have the technology to do just that. A New Zealand technology company Sirtrack has built and donated a satellite transmitter that will be glued to feathers on the penguin’s lower back. The device is 87 mm long, streamlined, and weighs only 95 grams (about 0.4 % of the bird’s current weight). Similar (and in some cases, identical) devices have been used previously to track adult and juvenile emperor penguins from the Antarctic continent. As reported in previous blogs, this has shown that young emperor penguins swim into the Southern Ocean more than 1000 km north of the pack-ice that surrounds Antarctica. The release of the Peka Peka penguin will be the first time that a satellite transmitter has been attached to an emperor penguin released at sea. 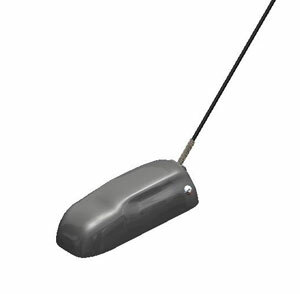 The transmitter has been registered with the Argos satellite system, and given a unique identifier code. Argos satellites are positioned about 850 km above the earth’s surface, and orbit the planet on a pole-to-pole orbit about every 100 minutes. 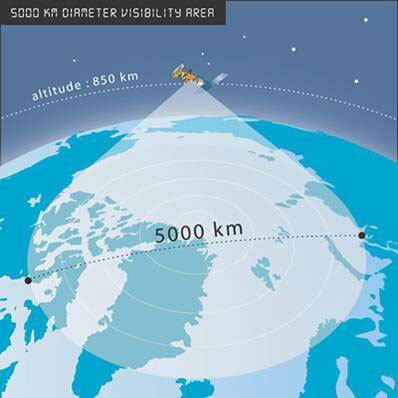 As a satellite passes overhead, it picks up signals from transmitters within a swath about 5000 km wide. Due to rotation of the earth, the swath moves westwards with each pass, with successive swaths overlapping about 44% at the equator (and 100% at the poles). The transmitter has been programmed to transmit a signal (or ‘ping’) every 45 seconds during two time periods each day (6 – 9 am and 8 pm – midnight) matching peak periods of satellite passes in the seas south of New Zealand. Whether or not a signal is picked up from the penguin will depend on whether the bird is floating or swimming at the sea surface during the approximately 10 minutes that it takes the satellite to pass overhead. The satellite must detect at least four pings per pass to get an accurate fix. It will not detect a signal when the penguin is foraging (deep diving), and is unlikely to do so when the penguin is swimming rapidly, and surfacing briefly for quick breaths. There is no guarantee that enough of the signals will get picked up on every pass of the satellite, and so there are likely to be days when no locations are detected. 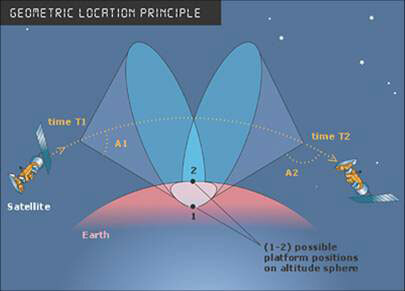 The Argos system calculates locations by measuring the frequency of the signal; the received frequency changes as the satellite moves in relation to the transmitter (Doppler effect). The data are transmitted to a ground station, and then posted to a website accessible via a password. One of the benefits of the Argos system is that requires only a single satellite to get a fix on the transmitter, unlike the three or more satellites required for GPS triangulation. A downside is that the satellite cannot determine if the transmitter is to its left or right, and gives two ‘mirror’ fixes to either side of its path. As penguins are capable of swimming only tens of kilometres per day, it should be obvious which of the two fixes is the correct one. This is a commercial system: users have to register their transmitters to receive a password, and pay a daily or monthly fee to receive the transmitted data. We are fortunate that Gareth Morgan KiwiSaver has agreed to sponsor the data downloads. Sirtrack will prepare maps of the penguin’s location and its movement track, and these will be posted on both the Sirtrack and Our Far South websites. I will provide precise webpage links in a blog about the time that the penguin is released. 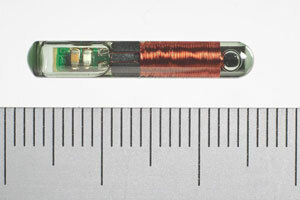 In addition to the satellite tag, the penguin will also have a small microchip (24 mm long) inserted under its skin. This is the same method as used for dogs in New Zealand. This will mean that if the bird ever returns to the New Zealand coast, or arrives at a monitored penguin colony, we will know its identity. The global penguin – Part 8. Free at last! The global penguin – Part 9. Heading home, or heading east? The global penguin – Part 11. How old was the Peka Peka emperor penguin? The global penguin – Part 12. The final word?